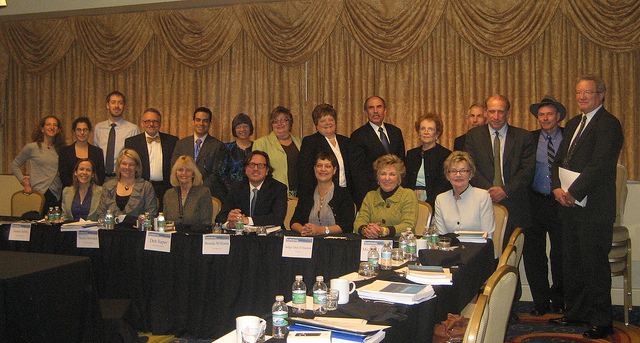 On March 24, 2011, World Wide Workshop hosted the 1st Evening of Conversation Series on Advancing Broadband Learning in Rural Communities Across the Nation. 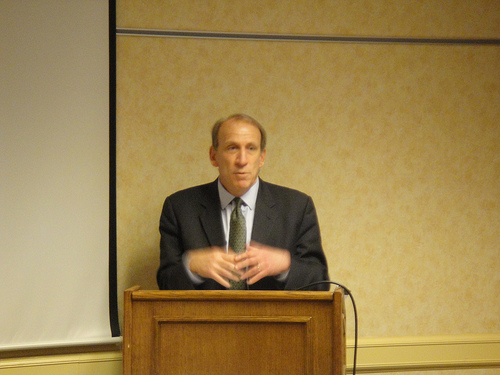 The speakers were: Hugh Walkup, Senior Advisor at the US Department of Education’s Office of Educational Technology, Blair Levin, Communications and Society Fellow at the Aspen Institute and former Executive Director of the Omnibus Broadband initiative at the Federal Communications Commission, and Bob Wise, president of the Alliance for Excellent Education and former governor of West Virginia. 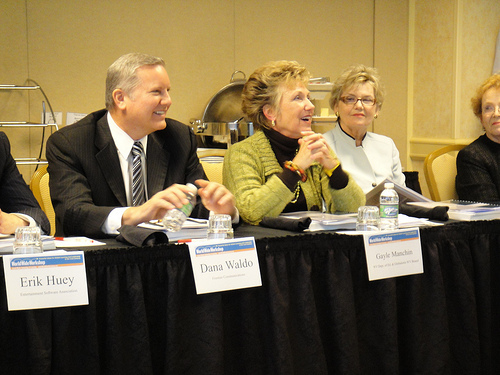 They spoke about the National Education Technology Plan 2010 (USDoE), Connecting America: The National Broadband Plan 2010 (FCC), and Digital Learning Now (Foundation for Excellence in Education). 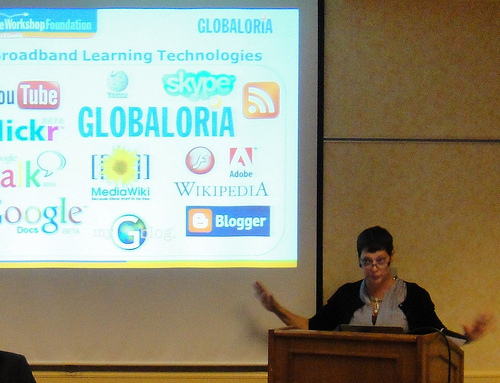 The presentations were followed by a session of brainstorming issues and challenges unique to West Virginia and how to leverage the Globaloria Learning Network in WV. Invited participants included representatives from WVDE, WV Board of Education, WV State Government, Globaloria Advisory Board and Funding Partners, US Department of Education, and the World Wide Workshop Team. Broadband Learning Panel: Hugh Walkup, USDoE, Blair Levin, Aspen Institute and Bob Wise, Alliance for Excellent Education. Dr. Idit Caperton introduces the event and speakers. 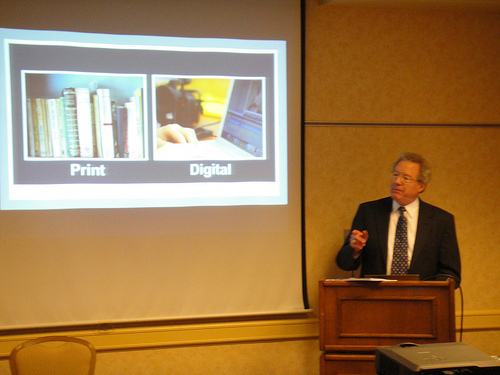 On March 25, 2011 Frontier announced their partnership with the World Wide Workshop in a press event in West Virginia. 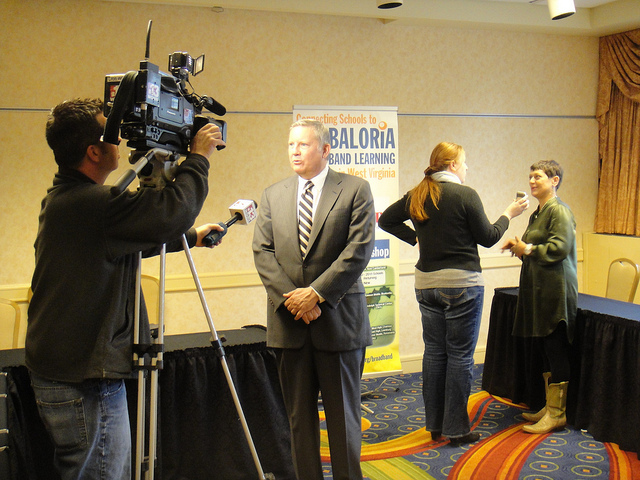 Dana Waldo, Senior Vice President of Frontier West Virginia, presented the World Wide Workshop with a new grant to expand the deployment of the Globaloria network throughout the state of West Virginia. This grant helps connect schools in rural communities to broadband learning, and empower youth with the necessary digital literacies in civics, STEM, and 21st-century skills. Dr. Idit Caperton, World Wide Workshop President & Founder, and Gayle Manchin, WV Board of Education Member, former WV First Lady, and Globaloria WV Advisory Board co-Chair accepted the grant on behalf of the Workshop. 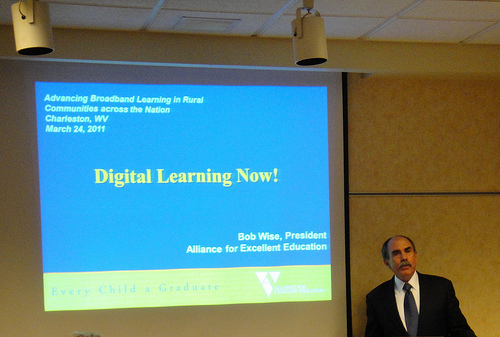 The World Wide Workshop works with many partners around the nation to advance broadband learning and ensure universal access to all students, no matter what their zip code. As the largest provider of telecommunications in West Virginia, Frontier Communications is a powerful partner with the potential to help bring about far-reaching and sustainable change. 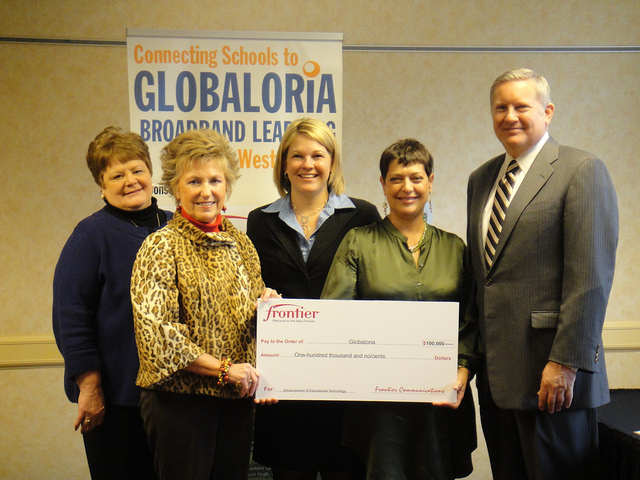 Carla Williamson, WVDE, Gayle Manchin, WV BoE, Monica Beane, WVDE and Idit Caperton accepting the grant from Dana Waldo, Senior VP, Frontier.